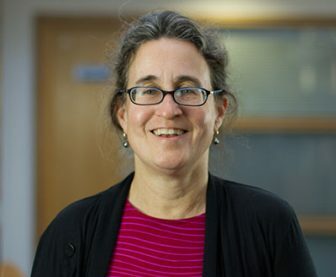 Professor Lora Fleming is the Director of the European Centre for Environment and Human Health and Chair of Oceans, Epidemiology and Human Health at the University of Exeter Medical School (www.ecehh.org). She is a board certified occupational and environmental health physician and epidemiologist with over 30 years of experience and expertise in environment and occupational exposures and human health research and training. With various international collaborators, Professor Fleming is involved in research and training in the new metadiscipline of Oceans and Human Health (www.ecehh.org/events/oceans-human-health/). She is the recipient of the 2013 Edouard Delcroix Prize and the 2015 Bruun Medal of the International Oceanographic Commission (IOC), for her research and other activities in Oceans and Human Health. Professor Fleming is a Member the US National Institute of Environmental Health Sciences (NIEHS) Scientific Advisory Board (SAB) to the NIEHS Gulf Oil Study, and the UK Natural Environment Research Council (NERC) Science Board.